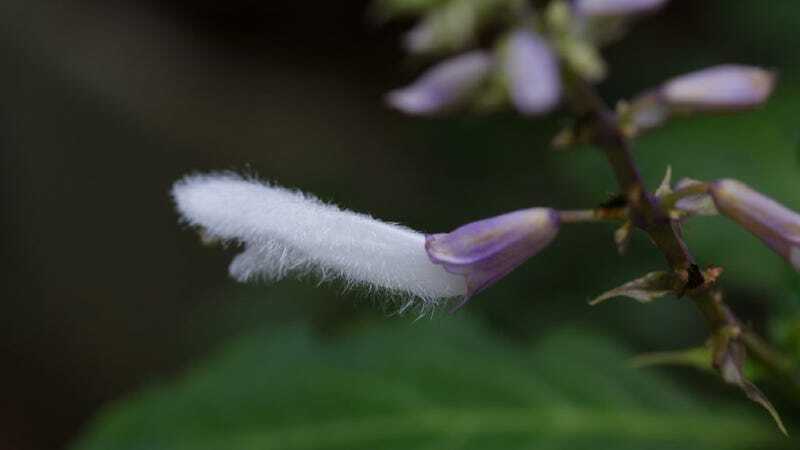 You’re probably familiar with Salvia divinorum, the hallucinogenic plant used for religious purposes in some indigenous cultures, and for watching celebrities giggle in some decaying cultures. But when you were sitting in a frozen Massachusetts cul-de-sac one late night in 2009 bouncing as if you were riding a motorcycle while your friends laughed at your babbling, you probably didn’t think about the scientists interested in the drug’s therapeutic properties. I certainly didn’t. A team of scientists are now reporting that they’ve found an easier way create a slightly-altered version of the chemical responsible for salvia’s hallucinogenic effects, Salvinorin A. They’re not doing it so that you can continue having wild trips with your high school friends, though. Instead, these researchers are looking for a painkiller with opiate-like effects, but with a lower potential to abuse. They think their new method will take advantage of the chemical’s potential as an analgesic without the trip. This time around, the team of scientists from the Scripps Research Institutes in California and Florida, and others at the University of Southern California hypothesized that slightly altering the molecule during synthesis should make something with a more stable backbone for easier customization, that retains some of its opiate-like effects. They didn’t really know if their molecule would actually work, though. “Careful attention to modeling gave a measure of confidence to the venture, although to some extent, it was still a leap of faith,” Jonathan Scheerer, an organic chemist at William & Mary college who not involved in the study told Chemical and Engineering News. The final molecule, called 20-nor-Salvinorin A, differs just slightly from Salvinorin A. One single piece of the large molecule, a dangling carbon atom with three hydrogen atoms attached, is replaced by a hydrogen atom. The process starts with two commercially available chemicals, one called “Hagemann’s ester,” and the other a chemical reaction starter they made from this mouthful of a chemical. Ten shape-altering steps left them with their 20-nor-Salvinorin A. The researchers then had to put their molecule to the test. They made enough to use it on some lab mice, and it seemed to be about as effective as Salivnorin A in getting rid of an induced itching sensation. Plus, it only bonded to the opioid receptors they were trying to target. It worked—though they didn’t test whether the mice were also tripping. “We have simultaneously stabilized the salvinorin scaffold and simplified its synthesis, while maintaining target engagement,” the authors wrote. Nice!